Happy Father's Day | A.B.E. Remodeling, INC.
We just wanted to send a shout out there to the Fathers and hope that you all had a wonderful day. Spent with your loved ones. Here's a little funny to read... ""While having their evening dinner together, a little girl looked up at her father and asked, 'Daddy, you're the boss in our family, right?' The father was very pleased to hear it and confidently replied, 'Yes, my little princess.' The girl then continued, 'That's because mommy put you in charge, right?'" 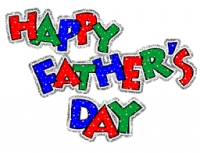 - loveyoufather.com """
And then "any one can be a father..but it takes someone special to be a daddy" Daddies, enjoy your day. (and evening).